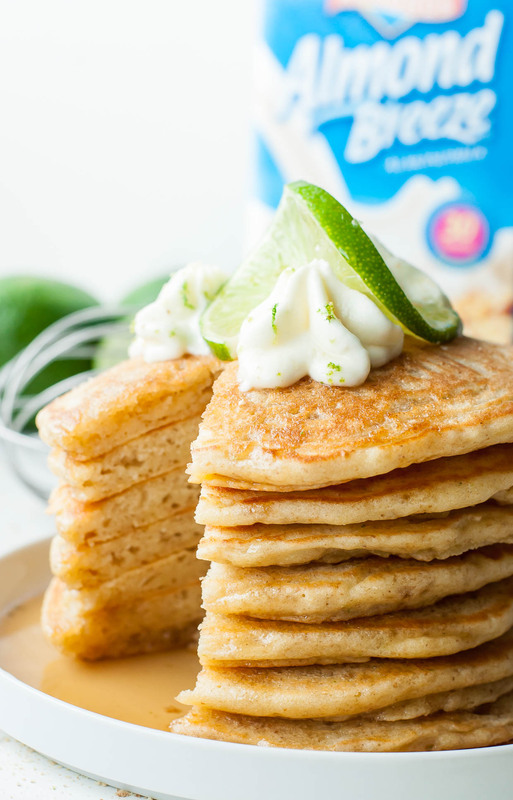 Ultra fluffy and bursting with flavor, these tasty Key Lime Pie Pancakes are a tasty dessert-breakfast fusion guaranteed to jumpstart your day! Can I kick things off with a super-bold statement? Coffee is no longer the best part of waking up, people!!! It’s these pancakes! I’m kicking myself for not coming up with these sooner. 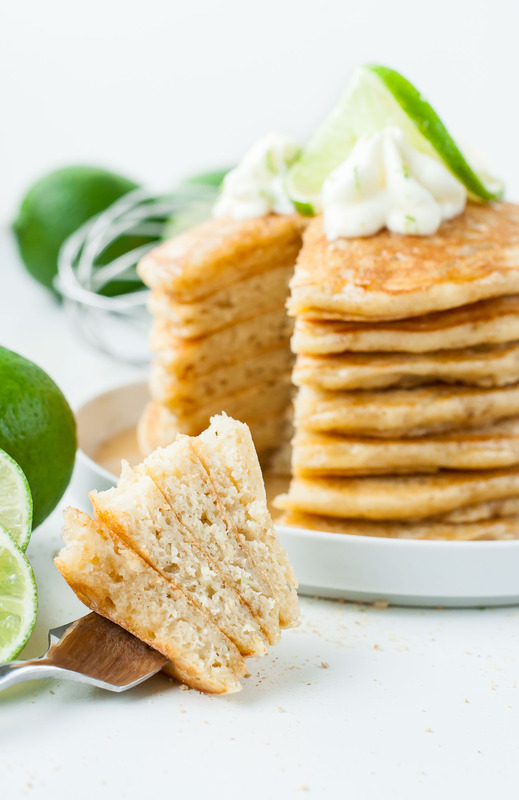 Fluffy pancakes laced with graham crackers and bursting with lime flavor… it channels everything that’s delicious about a key lime pie into a lightly sweet breakfast cake with a kiss of tartness. They’re delicate and dreamy yet somehow completely easy to make! My pancake game shall never be the same. Dare I say that these are more delicious than a pie? 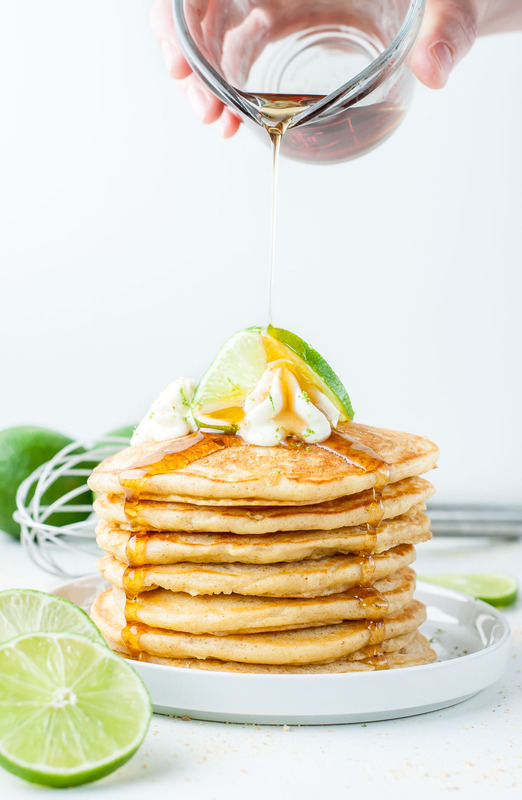 I’m head over heels in love with these key lime pie pancakes! For easy access, I decided to make this recipe with good ole limes instead of key limes. I know most of us aren’t lucky enough to reside in Florida (come visit me!!!) where the citrus is aplenty and easily grown in the comfort of your own back yard. If you have key limes handy, by all means juice ’em up! If not? Regular limes are beyond fabulous in these dessert-inspired pancakes! Be sure to keep reading past the recipe for some of my favorite pancake tips and tricks. In a medium-large bowl, whisk together almond milk, Greek yogurt, and lime juice. Allow mixture to sit and thicken. In a separate bowl, combine flour, finely crushed graham crackers, sugar, baking powder, baking soda, and salt. Whisk in your melted coconut oil and eggs to the wet ingredients. Slowly add your flour, sifting 1/3 of the flour into the wet ingredients, gently stirring to combine, then repeating until you have a thick and slightly lumpy batter. Ladle batter onto a hot, lightly greased griddle or skillet using a 1/3 cup measuring cup. Repeat for each pancake, cooking until bubbles form on the tops and pop, leaving a few delicious little air pockets behind. Flip and brown both sides, repeating for each. Use a hand mixer or a whisk to whip the heavy cream into whipped cream. Mix in a drop of vanilla extract and finish off with some fresh lime zest for a burst of flavor. Dollop on top of pancakes and finish off with some crushed graham crackers and a folded lime slice as an optional garnish. Enjoy! I've made these pancakes with both one and two eggs in the recipe. The pancakes are tasty both ways but the two egg version is totally my favorite, and the fluffier option. 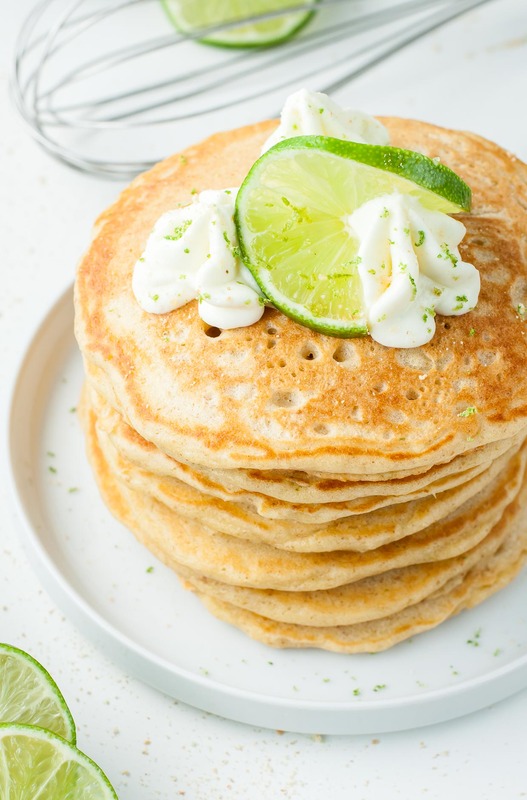 In order to have enough lime for both the pancakes, the whipped cream, and the garnish, you'll want to have two limes on hand. If using key limes or Persian limes, you'll need quite a few extra. You may also want to have pure maple syrup on hand for your breakfast cakes. NOTE: For the graham crackers, I counted each 5 x 2.25 inch rectangular sheet as a single cracker. You'll have just over 3/4 cup graham cracker crumbs once you crush them. No coconut oil? No problem! You can also use light olive oil or avocado oil for these pancakes. I typically have all three on hand (love them so!) but for pancakes I really adore how wonderful the coconut oil performs. The edges of the pancakes get perfectly golden and lightly crispy which is a fabulous contrast to the soft and fluffy center. I could seriously eat them straight off the griddle without a drop of syrup. Whatever you do, don’t flatten the pancakes with your spatula. It may appear to be a hack for cooking them faster, but what you’ll end up doing is sabotaging the fluff factor. Acidity FTW! Using fresh lemon or lime juice to create a faux buttermilk (or even using buttermilk itself) helps lift your cakes and adds flavor. Fresh is best. Always make sure your baking powder is still fresh and fizzy. The shelf life is typically between 6-12 months from open date and there are a number of DIY tests online that’ll help you determine if yours is still able to provide lift. Mix + Make: once dry ingredients come in contact with the wet, science takes over. Always make your pancakes after mixing. Want a quick fix? Dry ingredients can be mixed in advance and kept in an airtight container in your pantry. Add your wet ingredients and you’re good to go! Leave it lumpy! Over-mixing can make pancakes dense and chewy. Phenomenal! Each bite is flecked with zesty lime and sweet graham cracker flavor, it’s such a wonderful marriage of flavor. These pancakes are perfectly golden with lightly-crisp edges from the coconut oil and a super fluffy center that easily makes any breakfast into a special occasion. I basically can’t stop gushing about these pancakes. They even won over my skeptical husband and our pancake-picky toddler. Key Lime Pie Pancakes FTW! Serve with mimosas and a mountain of fresh fruit or all on their own for the snazziest of breakfasts. They’re portable (as plain cakes) and make ahead (score!) – my family loves these pancakes warmed up from the fridge or freezer on busy mornings. If you’re loving limes right now, absolutely check out this Sriracha Lime Salad Dressing and these zesty Key Lime Pie Energy Bites! OMG, these are my heaven! 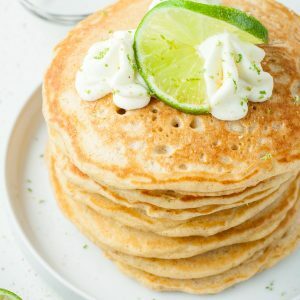 Lime and pancakes, I’m totally sold! Thanks! It’s like dessert for breakfast and it is to die for. Love this recipe and will be making it again and again cuz this girl loves key lime!!! I have unsweetened vanilla almond milk at home, can i use that? Am I missing something, because I don’t see any actual instructions for this recipe. Was looking forward to trying them this weekend they look delicious! Oh gosh not again! I switched recipe card services and a few glitched out in the transfer. 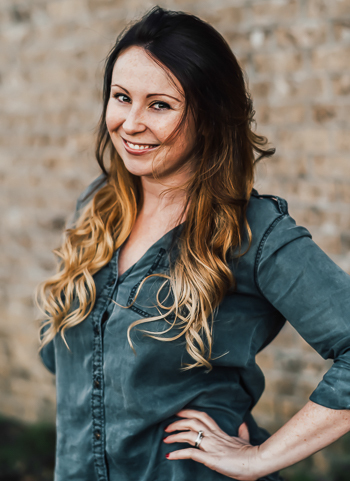 Fixing it right now – thank you so much for the heads up Ashley! All fixed! Phew! (So glad I had a backup!) Thanks again Ashley + I hope you adore the recipe! Hi Jenn, have you ever tried this batter recipe in a waffle iron? Hey Sam! I haven’t but I’m willing to experiment! I’ve never made my own waffle mix before – it’s a little different than pancake batter, right? Or are they often interchangeable? I was wondering the same thing. If you try it, let us know. Thanks! I can’t help thinking about key lime pie. It would be hard to resist these pancakes. I love graham crackers and the lime juice combo. Key lime pie is just so wonderful, I’m with you Ruth! 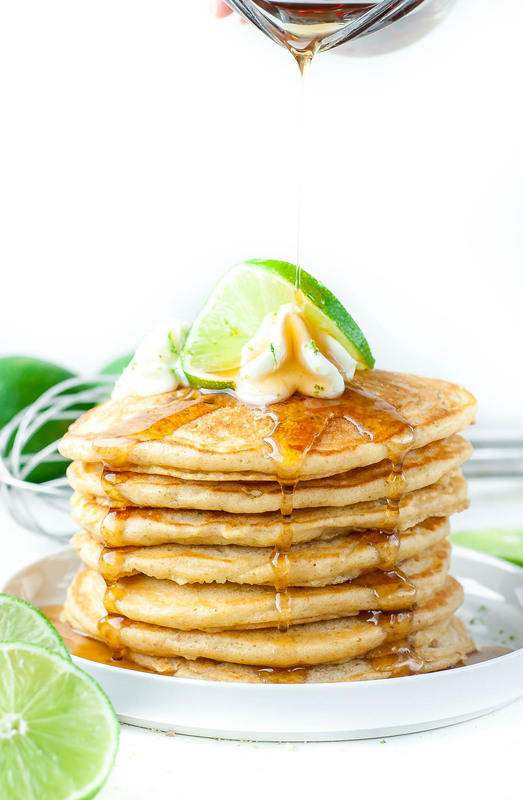 Hope you get a chance to try these pancakes and channel some key lime pie goodness! This recipe sounds so unique and delicious! I can’t wait to try it! I have friends who are gluten free so I was wondering if you have developed a gluten free version of this recipe yet? Thanks for your time and reply ? Thank you Jenn for the reply! I so appreciate it! I look forward to making these for our gluten free friends?. Thanks again! Hi, this looks delicious, but I’m allergic to almond milk (and all nuts). Is there a subsitute that will work? Thank you! Jenn!!!!!! This looks amazing. I’ve pinned for later consumption! Thank you Debbie! <3 Hope you looooooove them! These are gorgeous! What a wonderful twist on pancakes! Love it! Oh how pretty are these!! And there’s graham crackers? Say whaaaat?! MUST.MAKE. STAT! I love key lime but I’ve never had it on a pancake! This is a must try recipe! Oh wonderful flavor to add to the classic pancake. Love it. I never would have thought of this combination. It sounds wonderful! I usually stick to basic pancakes, but these look incredible. So sunny and bright! I do too! Though my basic is chocolate chip 😉 This is a new favorite for sure! Key Lime Pie is the bomb.com 🙂 Thanks Alicia! Ok, this is just genius!! Never would have thought to put citrus in pancakes! We absolutely love key lime pie, so I can’t wait to try these! Thanks so much Erin! I hope you go bonkerz over them like we did! I can’t get over how perfectly pretty your pancakes are! The key limes and whipped cream on top make for such a nice presentation. I’ll bet they’re as delicious as they look! Thanks Renee! <3 They're my latest obsession! Oh yum! Key Lime Pie is one of my favorite desserts ever! Never have I thought of putting the flavors in pancakes though! Genius! Ooooh yes! These look amazing. I’ve been wanting all the carbs lately. Mostly the ones I can put syrup on!